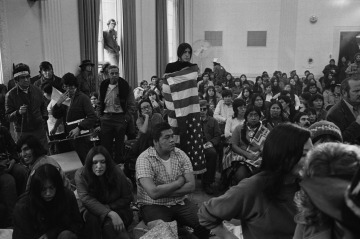 American Indian leaders and activists organize a nonviolent protest to bring attention to issues affecting American Indians. More than 600 people travel in the “Trail of Broken Treaties” in a caravan of buses, cars, trucks, and campers to Saint Paul, Minnesota. There, Hank Adams, an Assiniboine activist, writes the Twenty Points, one of which states that lack of sanitary sewers and clean drinking water on reservations is killing American Indian children. The meeting in which the activists plan to present these points to President Richard Nixon never occurs. 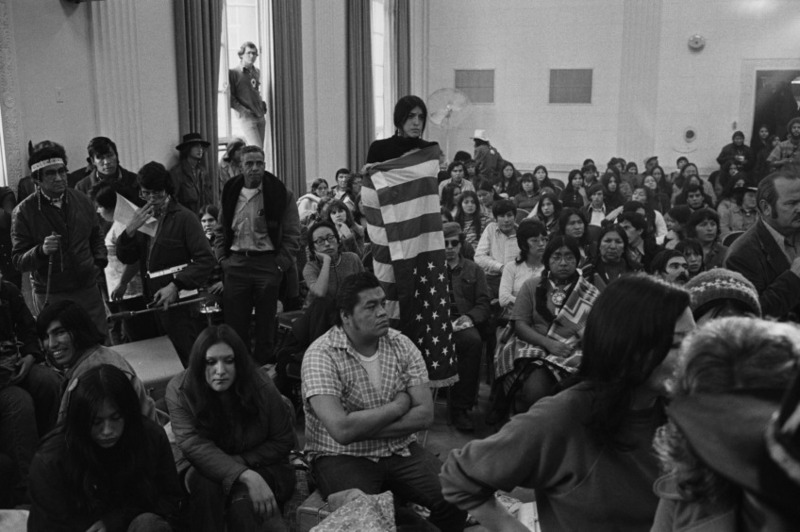 Native American participants in the Trail of Broken Treaties occupy an auditorium at the Bureau of Indian Affairs in Washington, D.C. in November, 1972. Hundreds of protestors occupied the building in the nation's capital as part of a week-long effort to drawn attention to issues affecting American Indians.